First time writer/director John Maclean had always been inspired by the western genre. Being a Scotsman as he describes himself, he feel in love with the idea of pioneering Scotsmen coming to America to seek adventure and fortune. Maclean’s film, Slow West, tells the story of a 16-year-old boy who travels from Scotland to America to find the love of his life. She’s been banished after a terrible crime was committed. Michael Fassbender plays the archetype American cowboy who runs across this boy and helps him – or so you think – find his destiny. So, why choose a western for a first film? “I always thought the western was about the lone hero. And I think you can say something about masculinity and coming of age, but you can say the reverse as well and add strong females,” says Maclean. “If you can play with myth and genre and play with clichés…” he says, you can do something different. 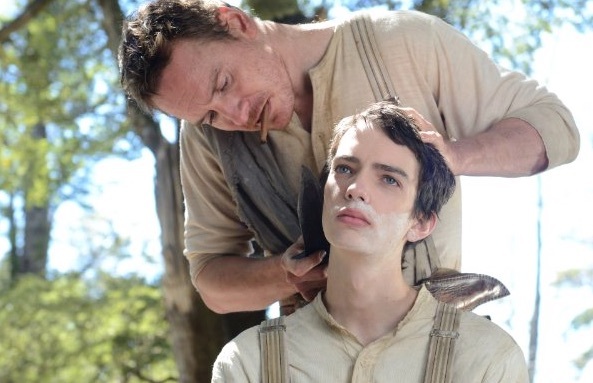 Slow West won Sundance Institutes World Cinema Jury Prize for drama in 2015. The film co-stars Kodi Smit-McPhee (Paranorman), Ben Mendelsohn (The Dark Knight Rises) and Rory McCann (Clash of the Titans). Slow West releases in theaters May 15. No Replies to "Writer/director John Maclean on SLOW WEST"